R4 ring is a modified ring 3 rare and unique state of the Art jewelry with its wide body and gives fashion a new meaning. 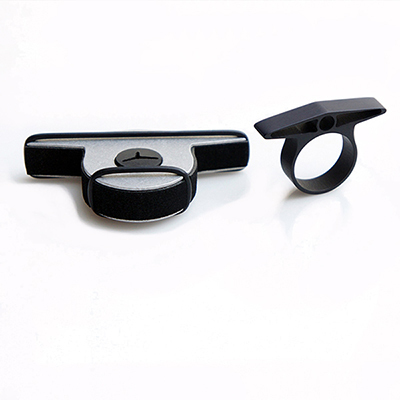 R4 ring is available as raw aluminum and gun metal black design. 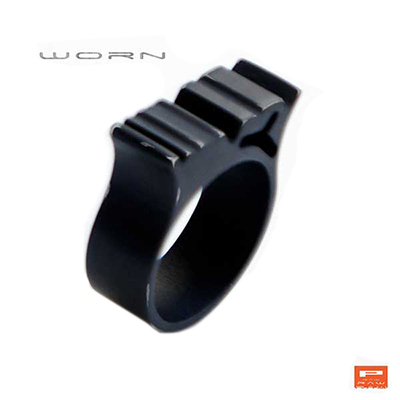 R4 ring is available as raw aluminum and gun metal black style. Hand crafted in high quality aluminum. 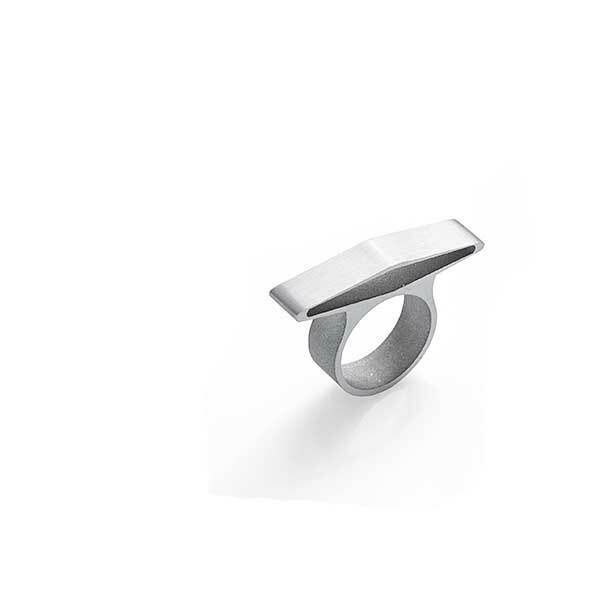 R4 ring is both an everyday to special occasion wearable ring, due to its open wide body takes your thoughts of an hovering ring above your fingers. 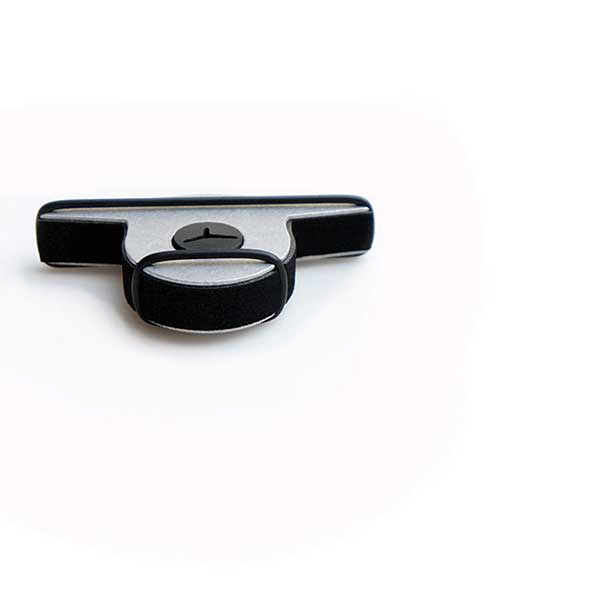 Available in polished , raw, worn and gun-metal black finish. not available in physical shop. Finishing: Raw stone ground, with polished top and sides. 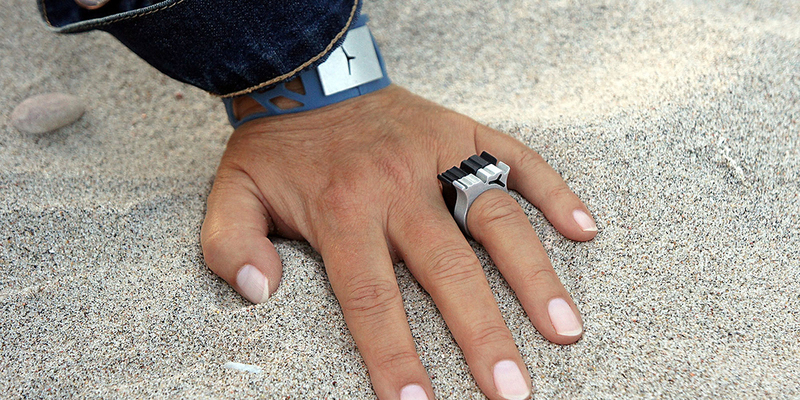 The R4 ring comes with in a really rare jewelry box, made in aluminum and rubber. You will regognice it at once with its unique design. This box will protect your jewelry during transport and moisture. Material: Aerospace aluminium, cell rubber as protector. 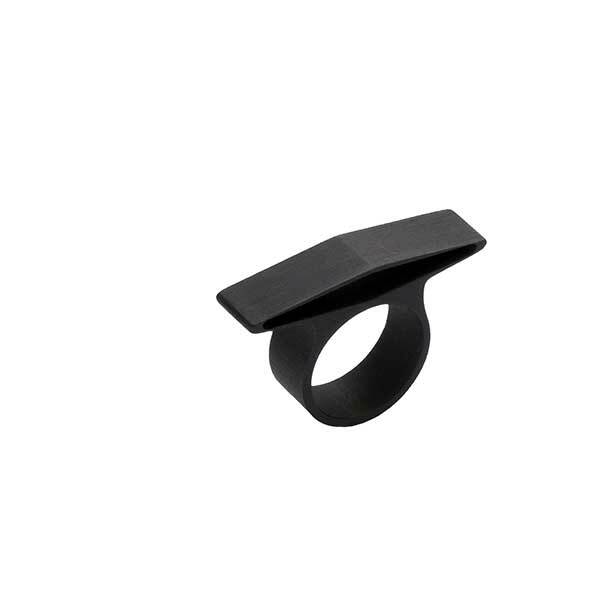 Gift box for R1 ring in Raw aluminium, weith cell rubber as protector. 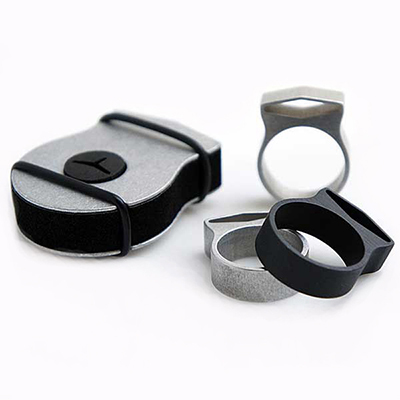 All rings are deliverd in an stunning box in raw aluminum and rubber to protect the jewerly during transport, and gives you an box that you never forget where it belongs to. This very rare ring has an outstandning look where you can compare it to worn denim jeans. this rare design looks stunning good. R3 ring is the stylish jewelry, where the wide body and aerospace design is an rare unique Art of this ring. 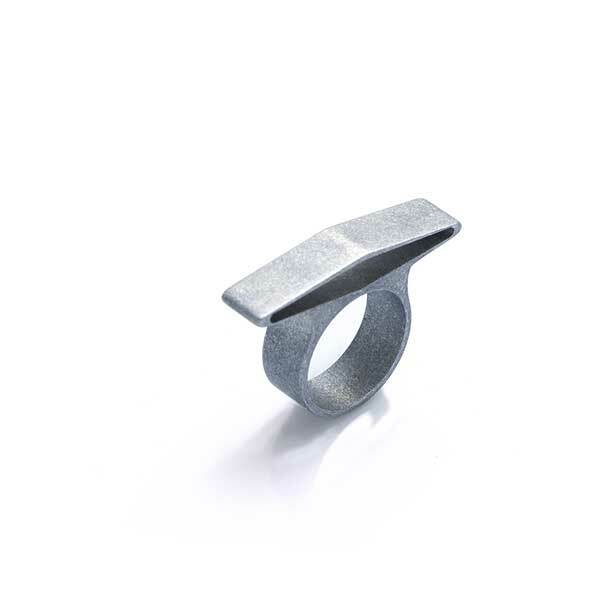 R3 ring is available as raw aluminum and worn style.